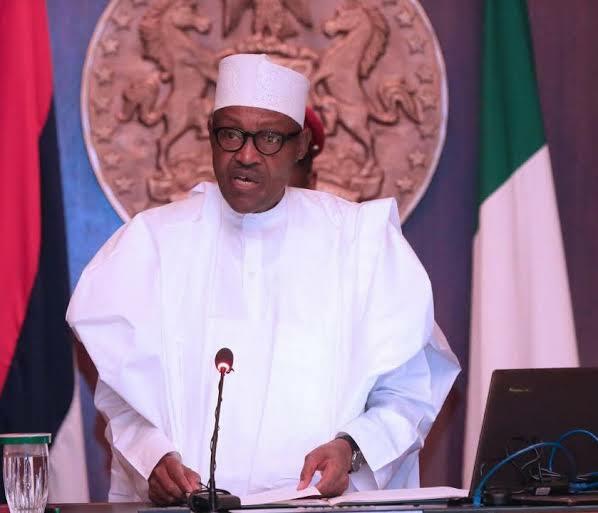 President Muhammadu Buhari has approved the appointment of two Executive Directors for the Board of Nigerian Sovereign Investment Authority (NSIA). Mrs. Stella Ojekwe-Onyejeli was reappointed as Executive Director for a second term. She is also the Chief Operating officer of NSIA. Mr. Aminu Umar-Sadiq, who is NSIA’s Deputy Head of Direct Investments is appointed, for the first time, as Executive Director. A statement by NSIA stated said the appointments followed the realignment in 2018 of NSIA’s strategy with a pivot towards domestic infrastructure, as reflected in the allocation of 50% of future contributions to infrastructure investments. Mr. Jide Zeitlin, Chairman, NSIA Board of Directors said these appointments strengthen the Authority’s executive team. In 2018, the NSIA Board established for the first time a Direct Investment Committee for review and oversight of investments in core domestic infrastructure sectors such as motorways, agriculture, healthcare, power, and education. Recent NSIA initiatives that reflect this increased focus on domestic infrastructure include the Presidential Infrastructure Development Fund (PIDF) which will fast-track the completion of five infrastructure projects of national priority, namely: Abuja-Kano Roadway, Second Niger Bridge, East-West Roadway, Lagos-Ibadan Expressway, and Mambilla Hydroelectric Power Plant. The NSIA said it is also galvanizing investments in tertiary healthcare with the investment in the development of the LUTH Cancer Treatment Centre and is developing advanced diagnostic centres in AKTH, Kano and FMCU, Umuahia. The NSIA also co-sponsored the establishment of InfraCredit, a specialized financial guarantor that facilitates the financing of domestic infrastructure assets by domestic pension funds. The Authority remains committed to leading the development of strategic infrastructure initiatives in Nigeria. Mrs. Ojekwe-Onyejeli was first appointed an Executive Director in October 2012 and served as the Chief Risk Officer until 2017 when her role was expanded to that of Chief Operating Officer. She has a wealth of experience spanning nearly three decades. She joined the Authority from Barclays where she was Director and Head of Operational Risk and Control at the Bank, overseeing 15 countries across Africa, Middle East and Asia. Prior to Barclays, Mrs. Ojekwe-Onyejeli held senior roles at Citibank. She received a degree in Chemistry from the University of Lagos, and an MBA from Cranfield School of Management in the UK. She is a Fellow of the Institute of Chartered Accountants of Nigeria and also a qualified Chartered Financial and Tax Accountant. She is an Alumna of both the Oxford and Wharton Executive Management Programs and has attended many director-level programmes in leading institutions globally. Mr. Umar-Sadiq has significant experience in investment banking, private equity and public finance, including his most recent role at the NSIA where he served as a Senior Vice-President and Deputy Head, Infrastructure. Since joining NSIA. Mr. Umar-Sadiq has led the development, execution and management of critical domestic infrastructure projects in the agriculture, healthcare, roads, real-estate and power sectors. Prior to joining the NSIA, he worked in mergers and acquisitions at Morgan Stanley focused on the Energy and Utilities sectors. He also worked with Denham Capital Management, an oil and gas, mining, and power focused private-equity fund. A Bauchi-State academic scholar, Aminu holds Bachelor’s and Master’s degrees in Engineering Sciences from the University of Oxford. Mr Umar-Sadiq is an Archbishop Desmond Tutu Fellow, a Nigeria Leadership Initiative Associate and a Mandela Washington Fellow.